www.busatti.com and shop.busatti.com Busatti S.R.L. P.IVA 00244960514 REA: AR-64361 via Mazzini, 14 – 52031 Anghiari (AR) Toscana ITALY – Email address of the owner: uff.cont@busatti.com (Dott. 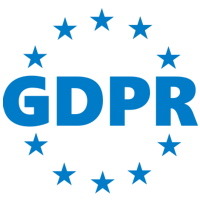 Livio Sassolini) devotes particular attention and care to the protection of personal data, so we are pleased to inform you about the rules for the communication and distribution of such information and about your rights according to Article 13 D. Lgs. 196/2003. To offer you customized services scheduled in its websited, www.busatti.com and shop.busatti.com Busatti S.R.L. P.IVA 00244960514 REA: AR-64361 via Mazzini, 14 – 52031 Anghiari (AR) Toscana ITALY – Email address of the owner: uff.cont@busatti.com (Dott. Livio Sassolini) as the Data Controller, has to collect the relevant identity data trequired for providing services. The computer systems and technical and software procedures underlying this website operation acquire, during their normal operation, some personal data whose transmission is implied in the functioning mechanism and protocols in use on the internet. Every time the user accesses this site and every time he invokes or requests a content, the access data is stored in our systems and potentially also by the data controller and by the persons in charge of data processing, in the form of tabular or linear data files (within appropriate log files), structured and not. – the kind of browser, its technical and functional characteristics and the used operating system. This data may be used by the Data Controller for the only purpose of obtaining anonymous statistical information about the use of the site in order to identify the users preferred pages and therefore to provide increasingly properly contents and to check the correct website functioning. At the request of the Authority, the data could be used to ascertain responsibility in case of hypothetical computer crimes against the site or its users. With cookies you can record semi-permanent information about your preferences and other technical data that allow you an easier navigation and a greater use and effectiveness of the site. For example, cookies can be used to determine if a connection has already been made between your computer and our sites to highlight the news or to keep on the “login” information. To your guarantee, only the cookie that was stored on your computer is identified. These cookies are necessary for the proper functioning of the site. They allow the browsing of the pages, the sharing of our contents, the memorization of your access credentials to make faster the entry into the site and to keep active your preferences and credentials while browsing. Without these cookies we could not provide the services for which users access the site. These cookies allow us to know how guests use the site, in order to evaluate and improve its functioning and to promote the production of contents that best meets the information needs of our users. For example, they let us know which pages are the most and least visited. So they take into account, among other things, the number of visitors, the time spent on the site by the average user and how they get to. In this way, we can know what works well and what we have to improve, as well as ensuring that the pages are quickly loaded quickly and correctly displayed. All information collected by these cookies are anonymous and they are not linked to the user’s personal data. To perform these functions on our sites we use the services of third parties that anonymize data making them not referable to individuals (so-called “single-in”). If there are not completely anonymized services, you will find them among the third-party cookies for which you can refuse consent, in accordance to guarantee your privacy. This category includes cookies supplied by partners of www.busatti.com and shop.busatti.com Busatti S.R.L. P.IVA 00244960514 REA: AR-64361 via Mazzini, 14 – 52031 Anghiari (AR) Toscana ITALY – Email address of the owner: uff.cont@busatti.com (Dott. Livio Sassolini) and known by it, and cookies provided from third parties that are not directly controlled or be controlled by www.busatti.com and shop.busatti.com Busatti S.R.L. P.IVA 00244960514 REA: AR-64361 via Mazzini, 14 – 52031 Anghiari (AR) Toscana ITALY – Email address of the owner: uff.cont@busatti.com (Dott. Livio Sassolini). Cookies from our partners allow us to offer advanced features, as well as more information and personal features. This includes the ability to share contents through social networks, to access videostreaming services and the CDN networks on which we host our contents. These services are mainly provided by external operators engaged or consciously integrated by www.busatti.com and shop.busatti.com Busatti S.R.L. P.IVA 00244960514 REA: AR-64361 via Mazzini, 14 – 52031 Anghiari (AR) Toscana ITALY – Email address of the owner: uff.cont@busatti.com (Dott. Livio Sassolini). If you have an account or if you use the services of these parties on other websites, they may be able to know that you have visited our sites. The use of the data collected by these external operators through cookies is subject to the respective privacy policies and therefore that cookies are identified with the names of the respective subjects reported in the cookie management tool available in the appropriate section of this Notice including cookies registered by the main social networks that allow you to share the articles of our sites and publicly express the appreciation for our work. All that cookies not coming from partners of www.busatti.com and shop.busatti.com Busatti S.R.L. P.IVA 00244960514 REA: AR-64361 via Mazzini, 14 – 52031 Anghiari (AR) Toscana ITALY – Email address of the owner: uff.cont@busatti.com (Dott. Livio Sassolini), are managed without any control of www.busatti.com and shop.busatti.com Busatti S.R.L. P.IVA 00244960514 REA: AR-64361 via Mazzini, 14 – 52031 Anghiari (AR) Toscana ITALY – Email address of the owner: uff.cont@busatti.com (Dott. Livio Sassolini), by third parties able to intecept the user during the navigation even outside the sites linked to www.busatti.com and shop.busatti.com Busatti S.R.L. P.IVA 00244960514 REA: AR-64361 via Mazzini, 14 – 52031 Anghiari (AR) Toscana ITALY – Email address of the owner: uff.cont@busatti.com (Dott. Livio Sassolini). These profiling cookies are not directly controllable by www.busatti.com and shop.busatti.com Busatti S.R.L. P.IVA 00244960514 REA: AR-64361 via Mazzini, 14 – 52031 Anghiari (AR) Toscana ITALY – Email address of the owner: uff.cont@busatti.com (Dott. Livio Sassolini) and we can not garantee about the use that the third party owners make of the information they collect. Copyright © 2018 Busatti S.r.l. All Rights Reserved.